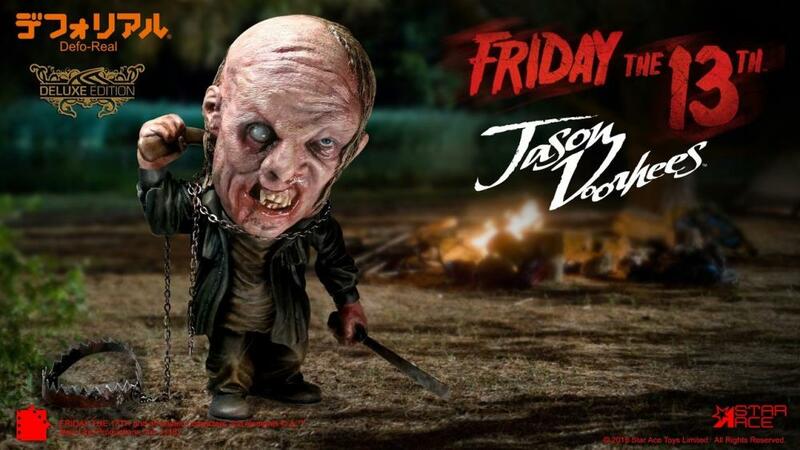 The Deform Real series, from Star Ace, ventures into the horror realm with Jason Vorheese from the 2009 Friday The 13th reboot. 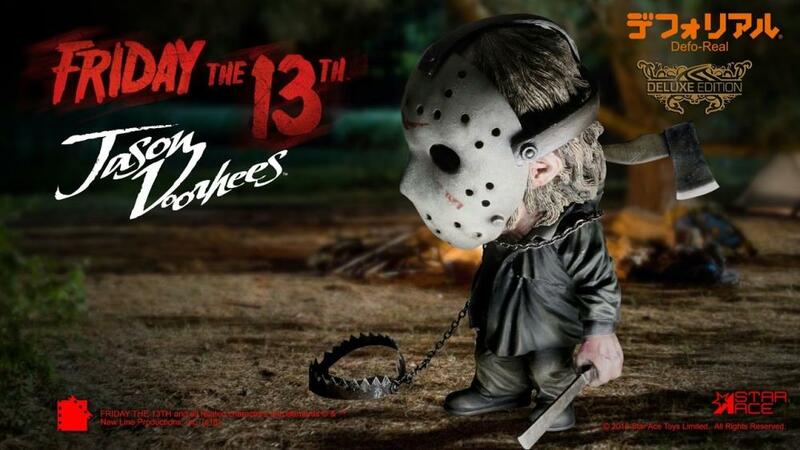 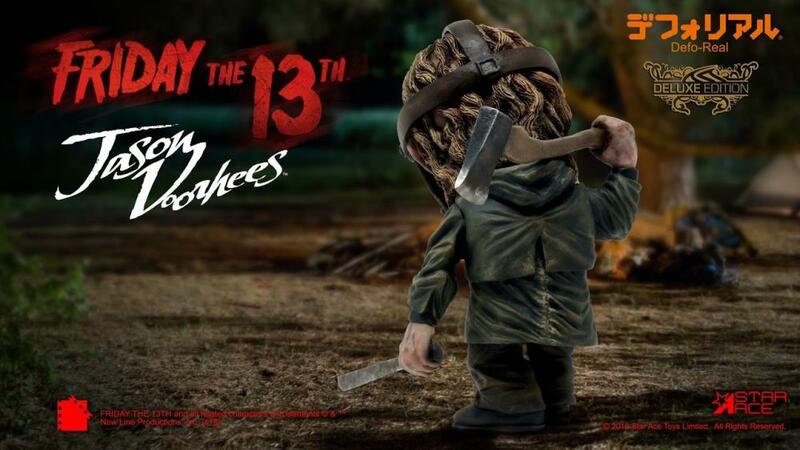 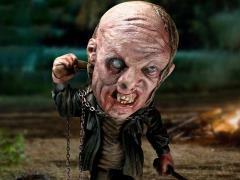 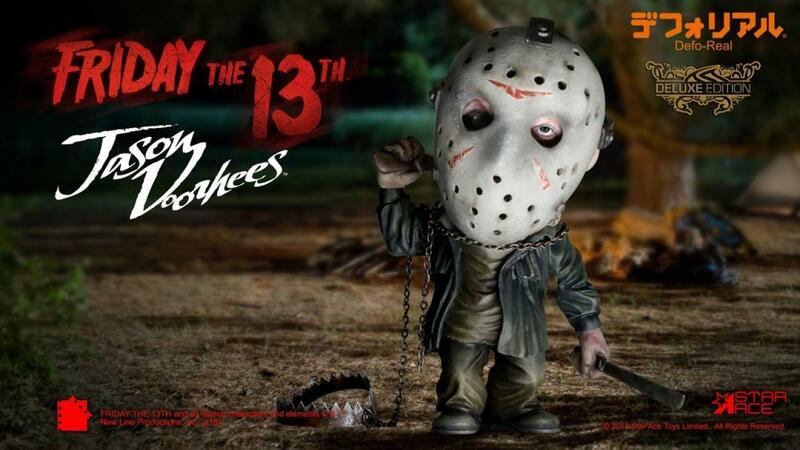 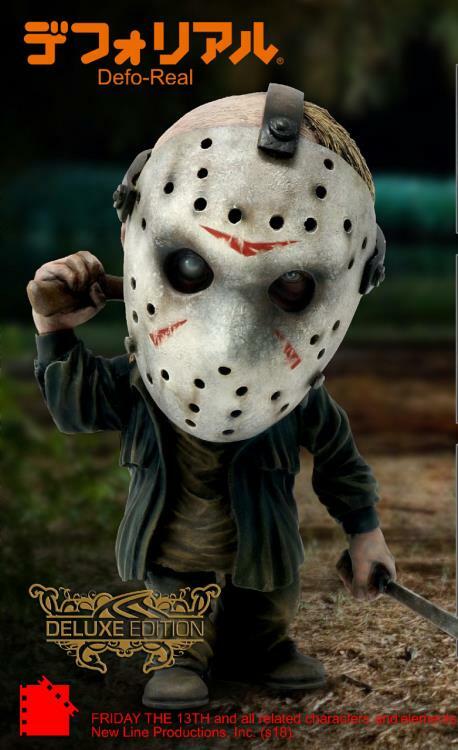 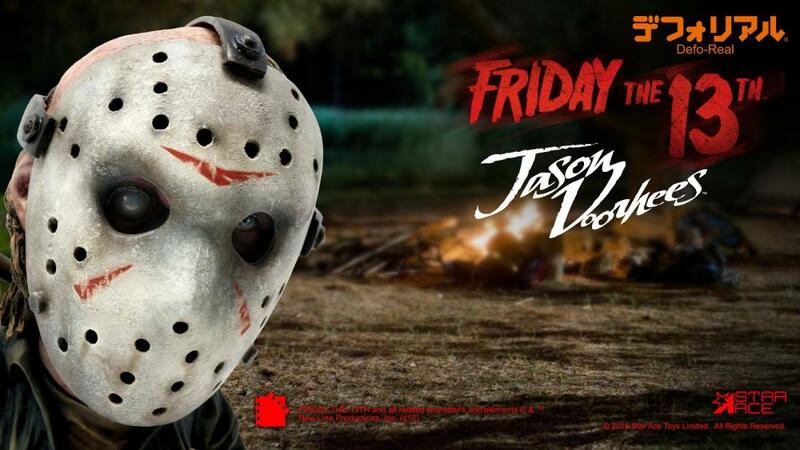 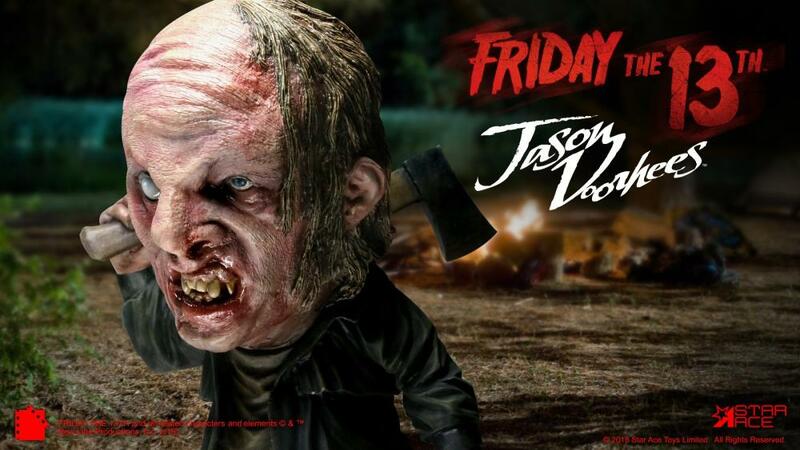 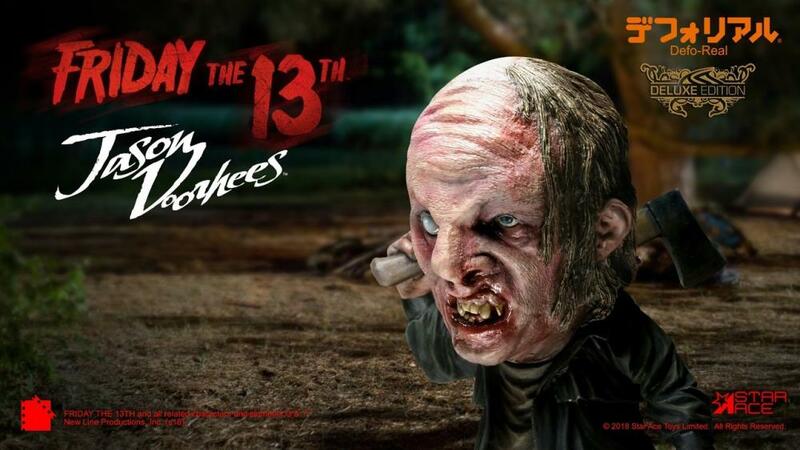 Jason stands just about 6 inches tall and features s stylized sculpt with an oversized head. 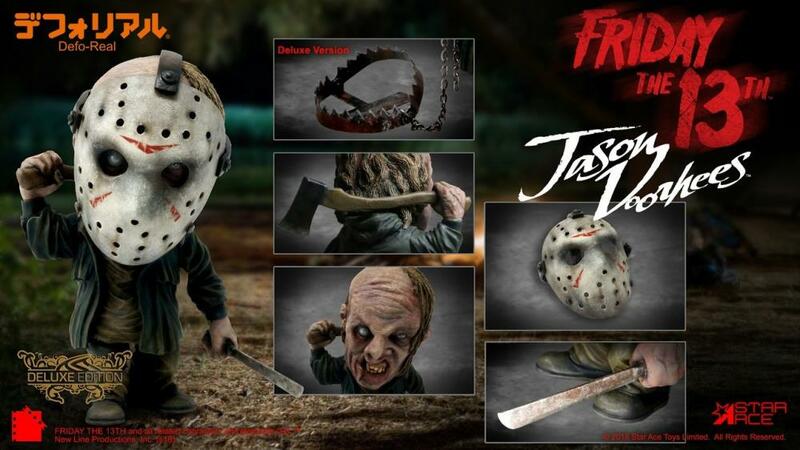 The deluxe version includes a metal bear trap and chain.